If you’re considering investing in swimming from home, have you thought about looking into a swim spa? With all the same features of a larger pool and then some, a swim spa may be the perfect solution. Here’s some information on the modern swim spa and how it differs from a traditional pool. Year Round Use Compact size means the swim spa can be placed indoors or out, on an enclosed patio, deck or in a finished garage. A traditional swimming pool can only be used outdoors—weather permitting. A Lap Pool and a Hot Tub In One Swimming is one of the best ways to maintain great health and wellbeing. 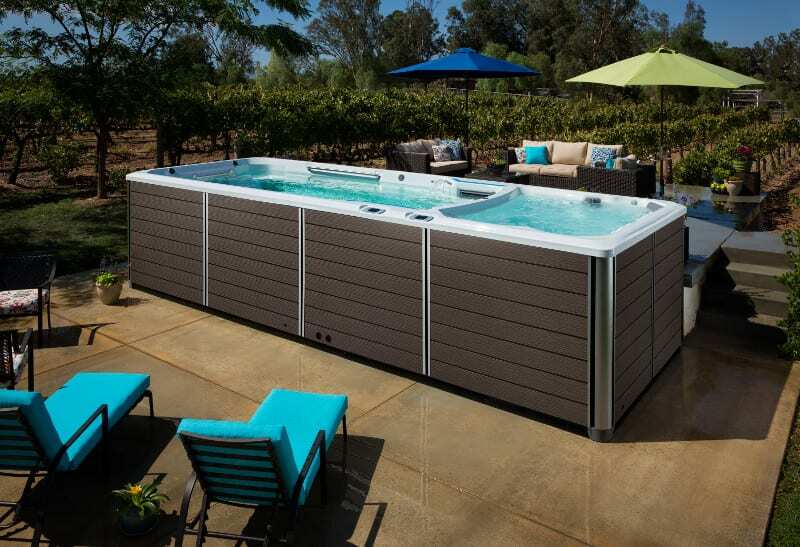 But unlike a traditional pool, the swim spa has another feature—a hot tub! Quality swim spas can be equipped with a spa at the other end for hydromassage in hot, soothing water. A Budget Friendly Home Investment For families on a budget, an amazing in ground pool is simply out of the question. Luckily, the same family fun, fitness and entertainment can be had for much less. Swim spas vary in terms of cost, and there are many options to choose from. To learn more about the benefits of owning a swim spa, just give us a call at ☎ 775-852-3838 or visit our website at: https://www.spaandsauna.com/.